My good friend, Pat, who belongs to the Walla Walla Guild invited my Seattle friend and I to their retreat this year. We had such a good time and made some good friends so we decided to join their guild. We won’t be able to make it to meetings (it is a 5 hour drive from Seattle). We will try to make it back to the retreat next year. 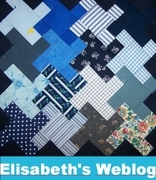 The Walla Walla quilters are awesome. 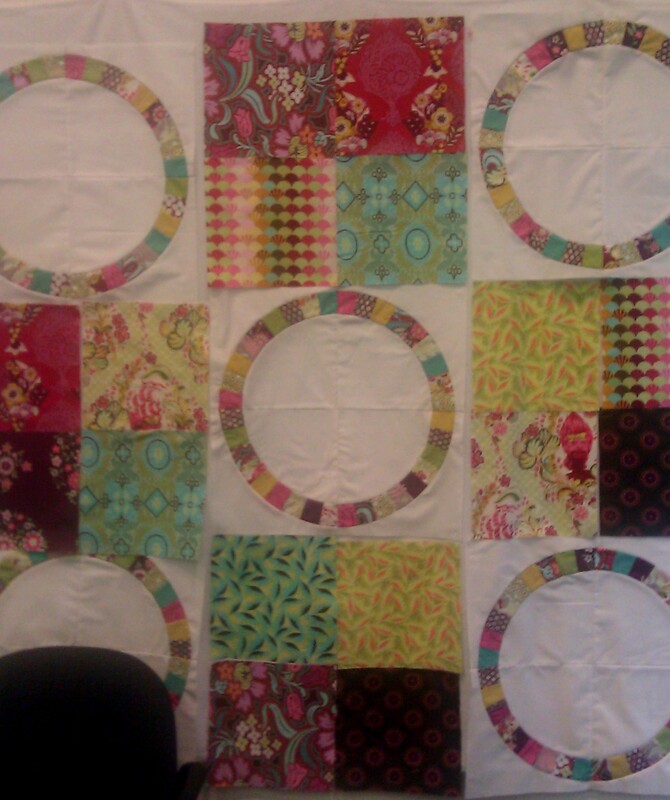 It was a joy to be able to see all the wonderful work these quilters are doing. Here is a sampling. Unfortunately my cell phone camera is ancient and so the photos are not the best. I should have that fixed by next year’s retreat. 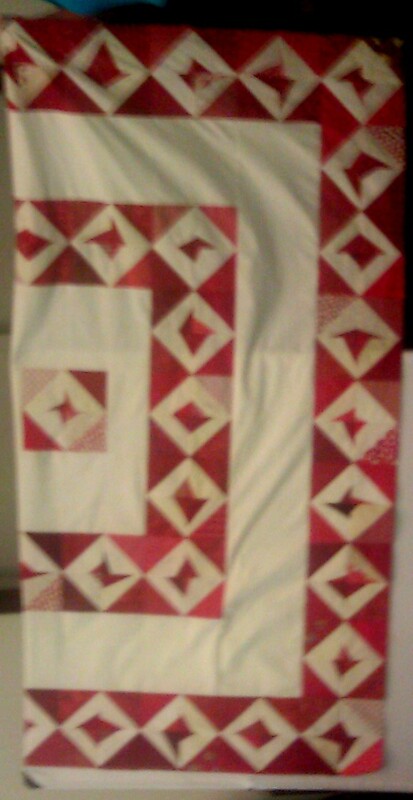 Leanne’s Quilt.. Awesome. 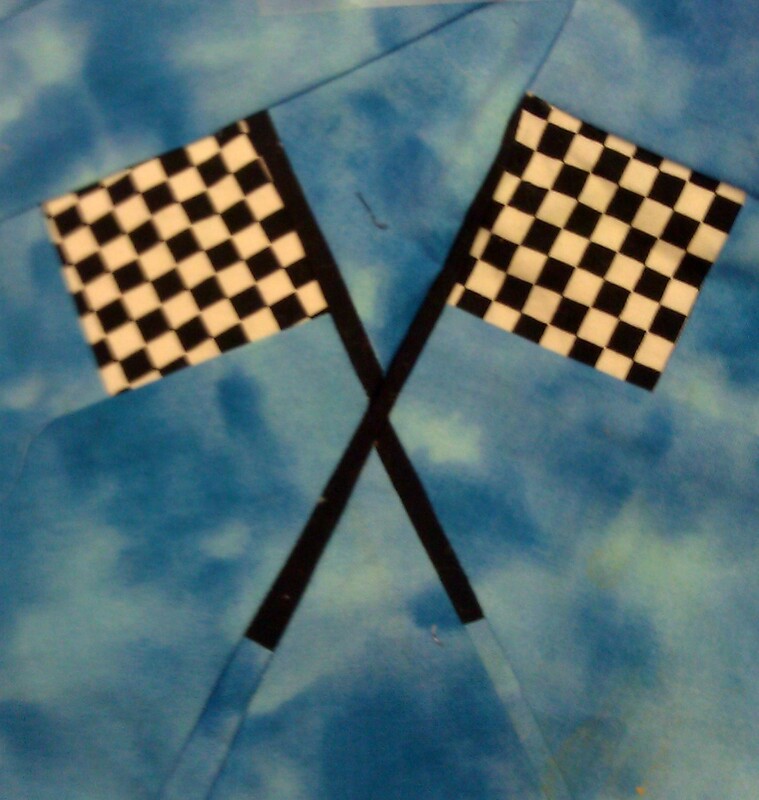 All the pieced are embellished with applique. All of the colored parts of the horses, foxes, and background were embellished with intricately cut out pieces and appliqued. She is truly an artist. 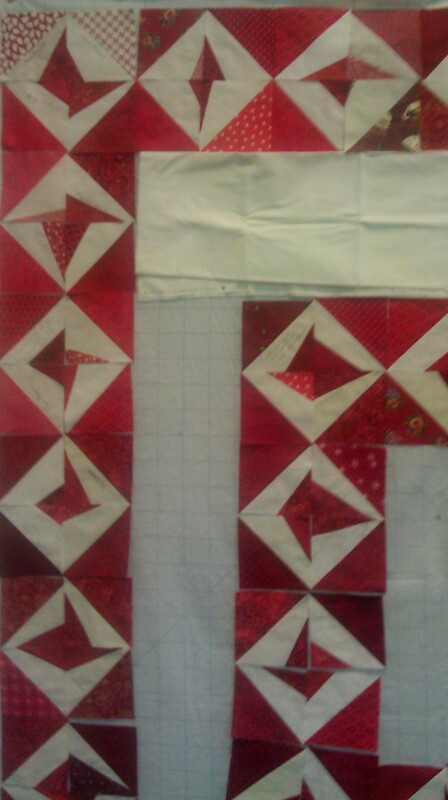 Lianne, the past president, was working on her President’s quilt. The blocks were made by the guild members. 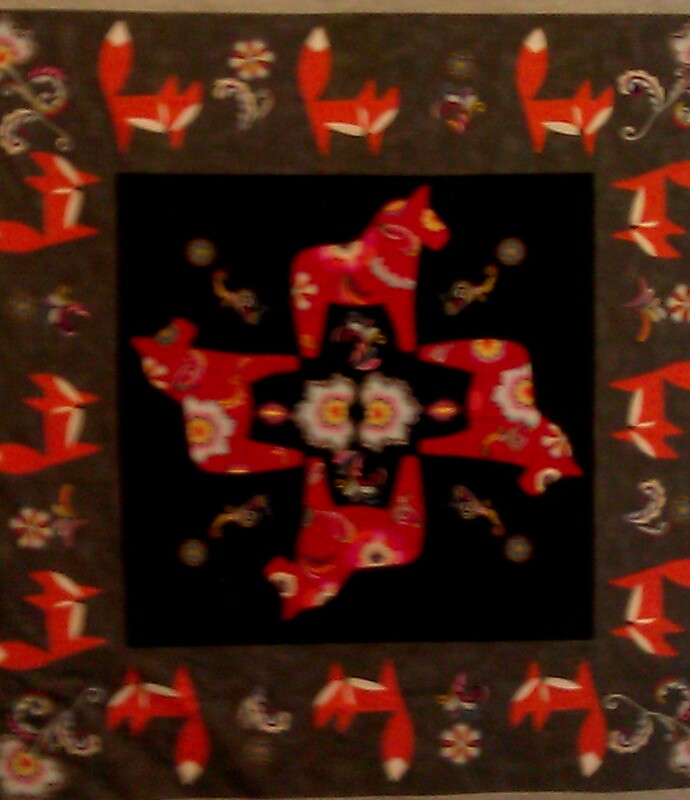 Our friend, Pat, designed the quilt for her. 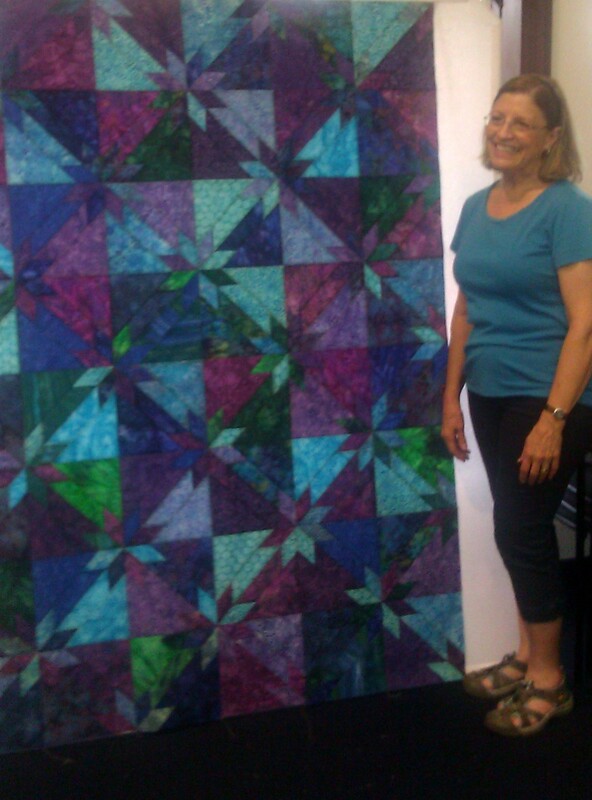 Jan was making a beautiful Hunter’s Star batik quilt for a wedding gift. 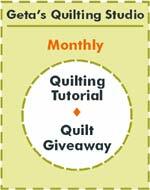 Susan was happily making her fourth quilt. 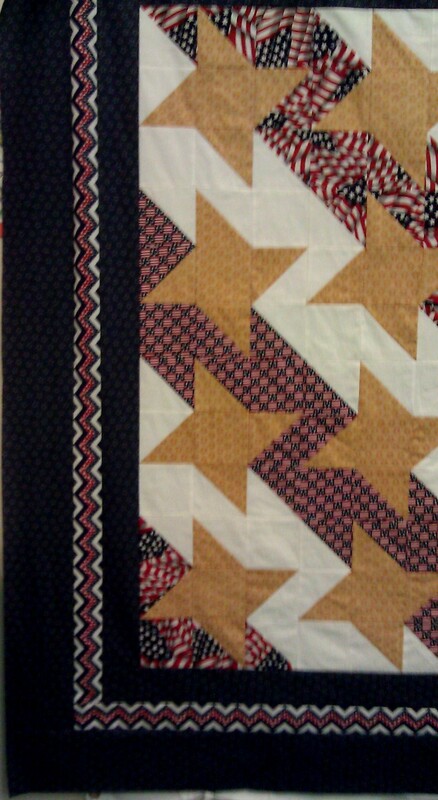 A great quilt to be given to someone associated with the military. 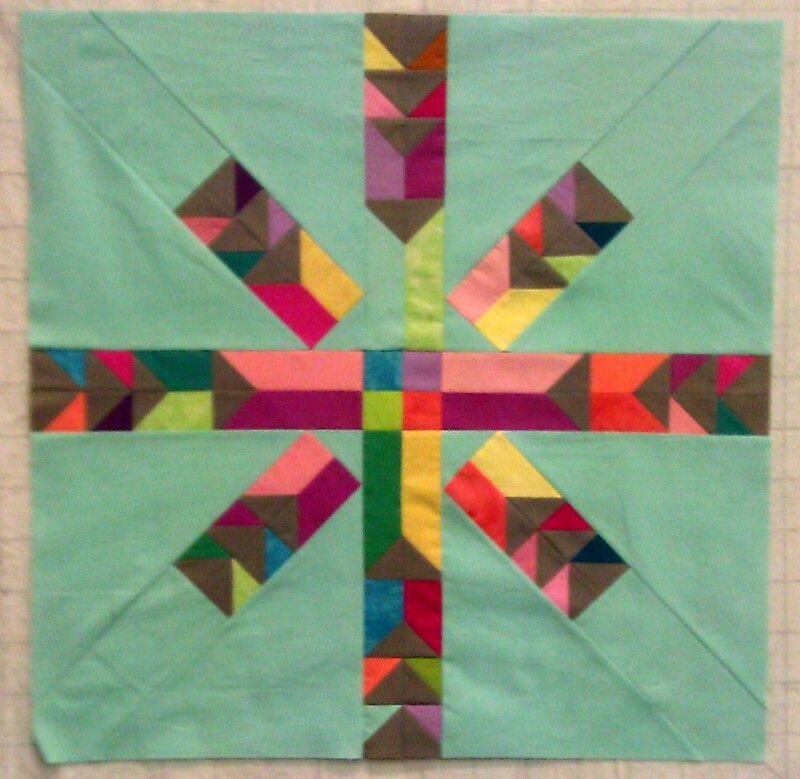 One of the projects my friend Pat was working on was a pieced backing for a quilt. 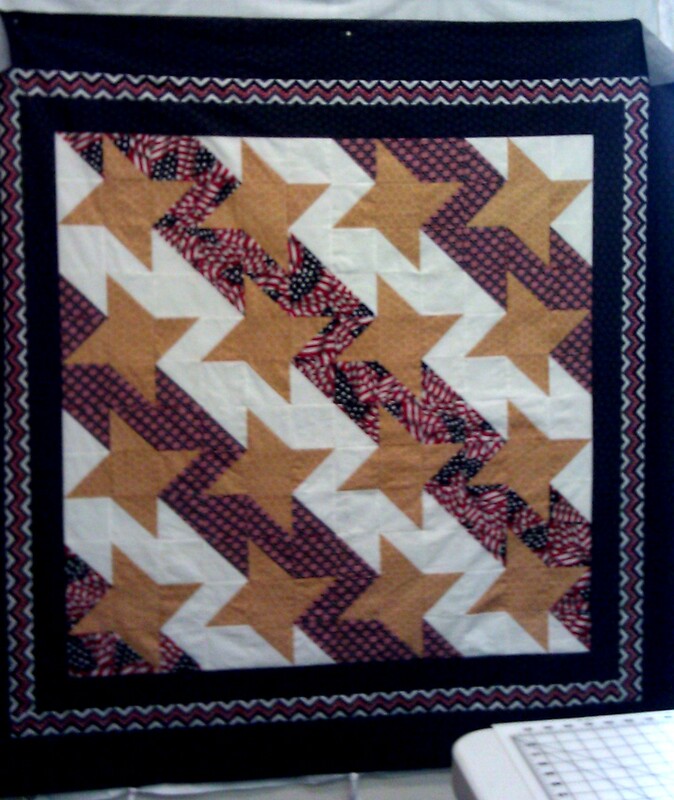 She made my Delectable Stars pattern and was piecing the left overs on the backing. 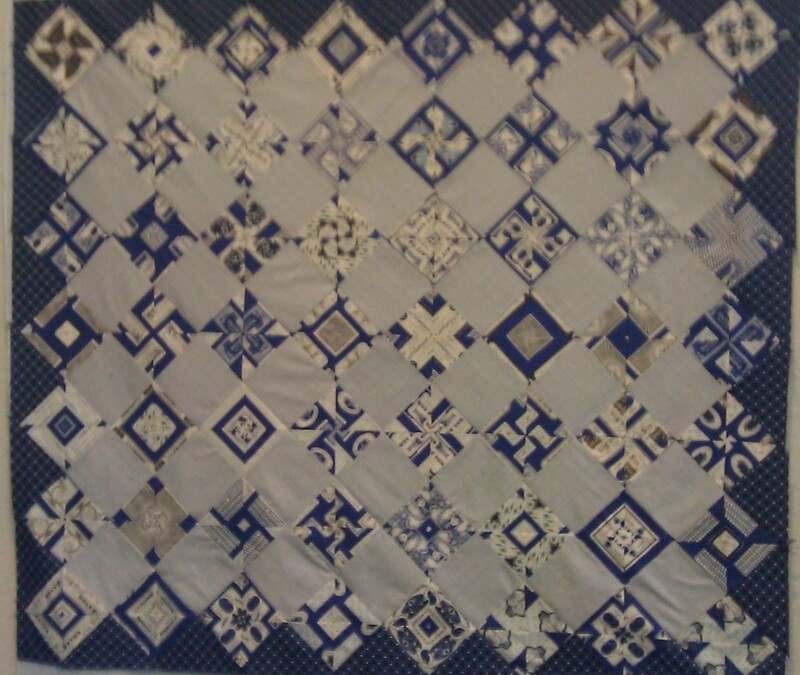 Heather was working on her beautiful blue and cream kaleidoscope quilt. All made from one piece of fabric. Amazing. She sent me her pattern and I plan on making my own. I am still looking for the right fabric. 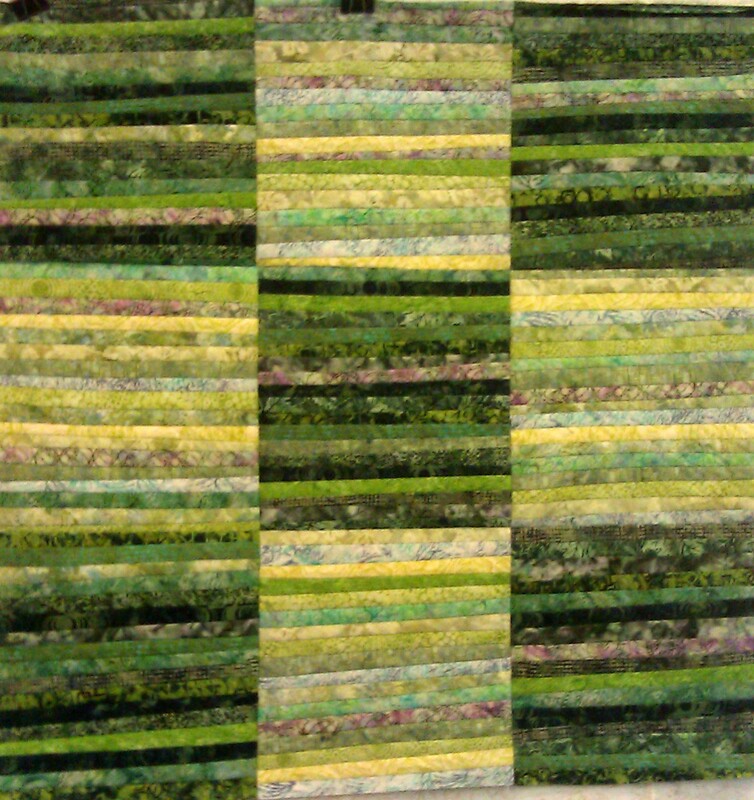 Audrey was making a batik stripe pattern quilt out of very thin strips. I do love those thin pieces and the colors blend together so beautifully. 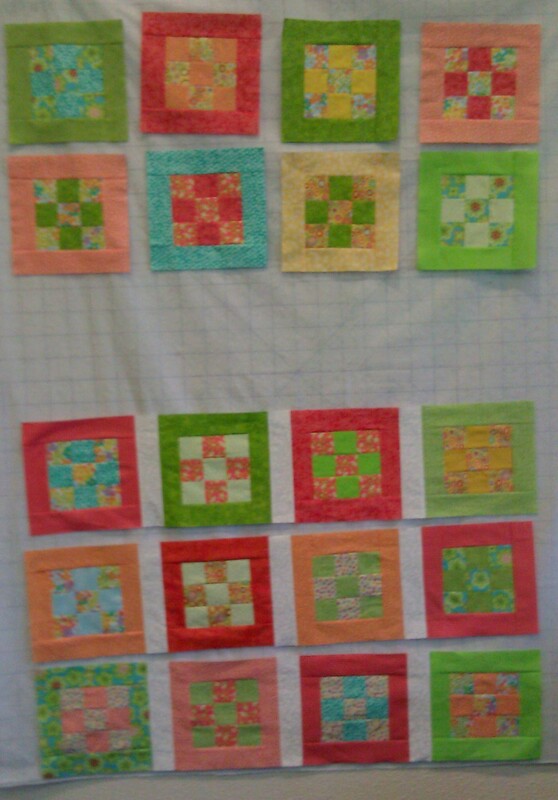 Barb L. was making sherbert colored blocks. The woman has a fabulous stash. 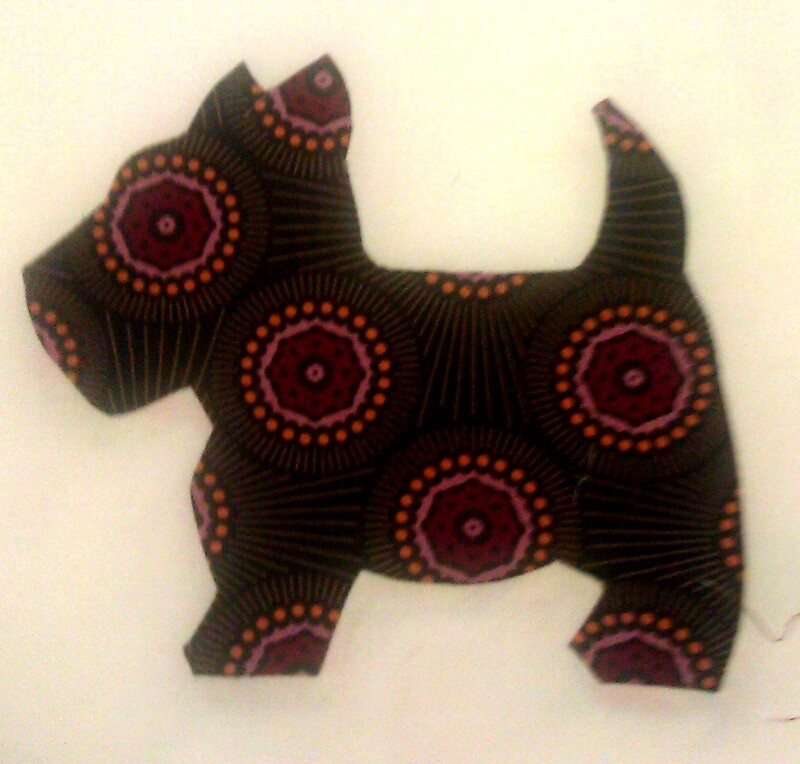 Julia was making the cutest Scottie dogs and a quilt using rings in her alternating blocks. A very fun idea. 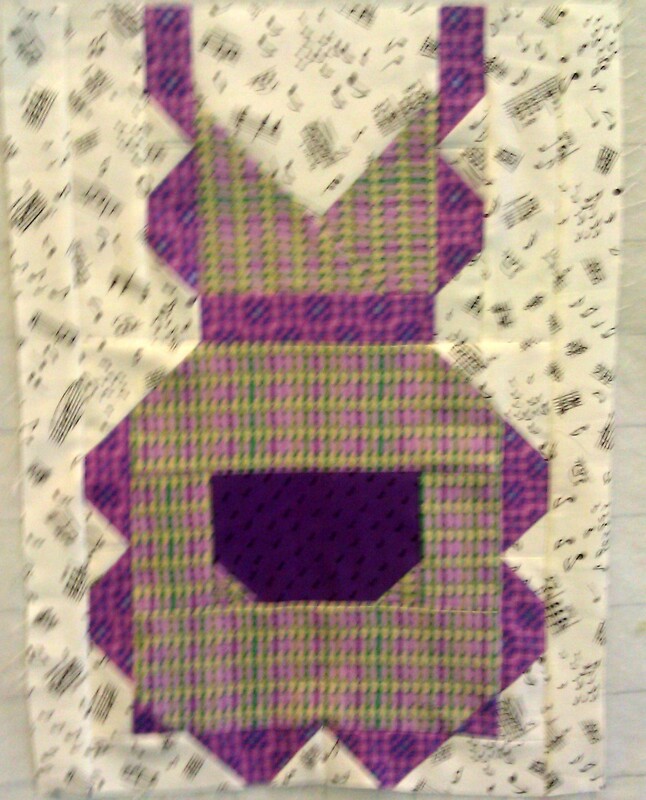 Mary C. was making the most darling little blocks and her apron block for her block of the month. I do love those little blocks and her apron is just perfect. 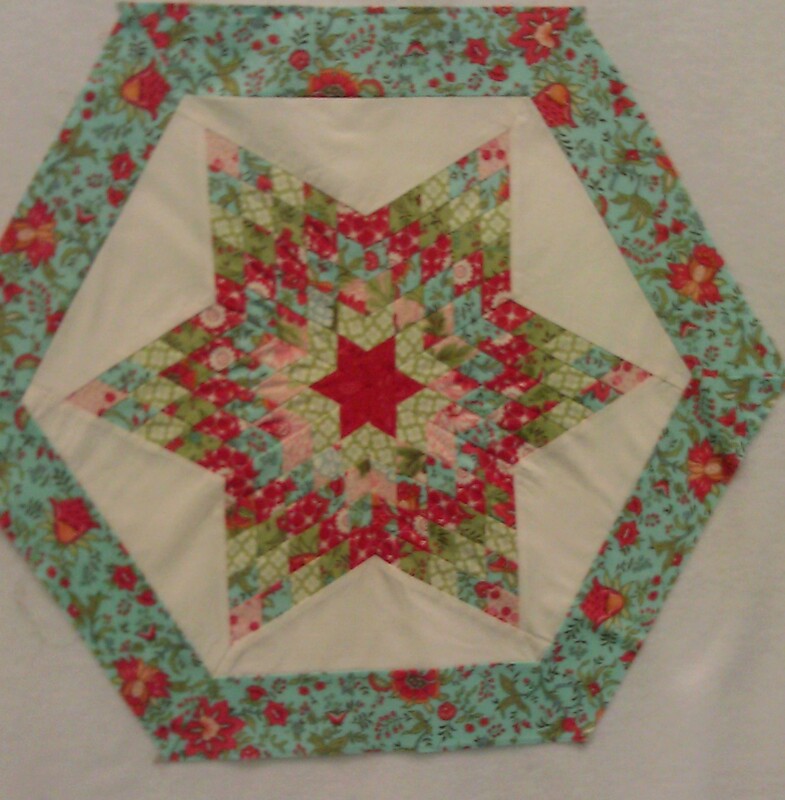 Jessica made a beautiful lone star quilt.. Love those fabrics. 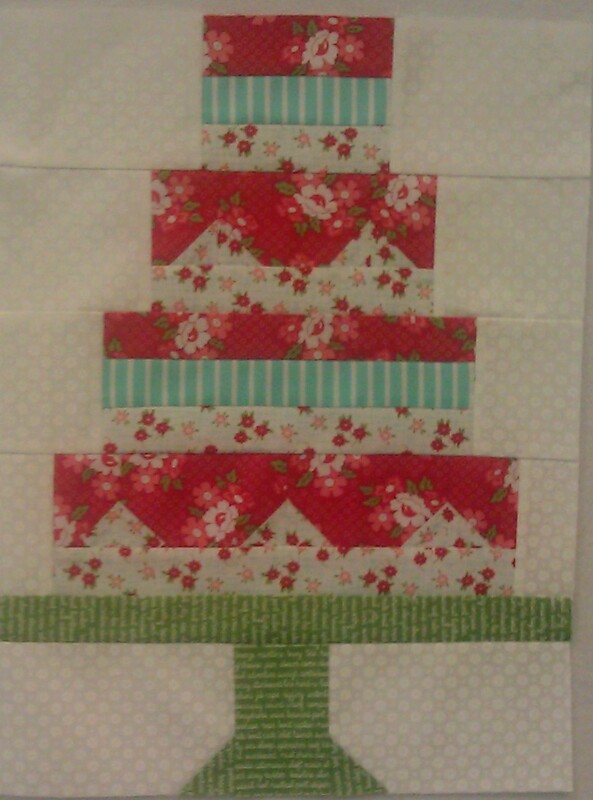 She also made a darling cake block for the block of the month.